It is time to garden in may parts of the United States. If you've never gardened before, you need to do it now. This is the only way to be adequately prepared to provide your own food when trouble comes. 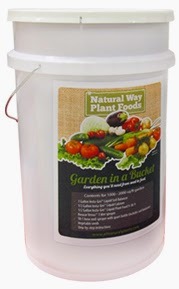 Garden in a bucket can teach you how to do it. They also have pointers for more experienced gardeners which can help you grow food without harmful pesticides and herbicides.